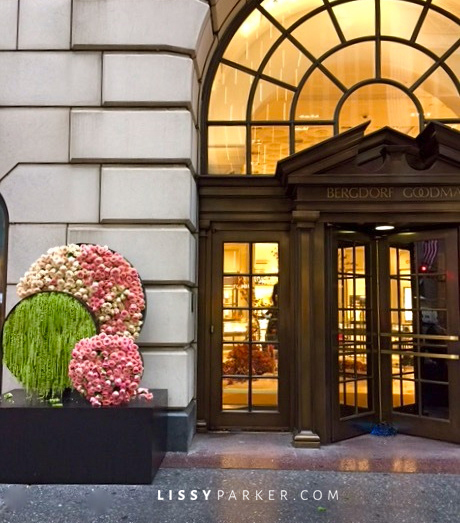 Today’s flowers are compliments of Bergdorf’s NYC. These contemporary circular arrangements flank the entry and welcome all. I love the different texture and leaf forms along with the pale pink and green color combination. Think outside the box and have a little fun with your next floral extravaganza! Have a wonderful holiday weekend—see you next week.